ICESA, Innovación y Control de la Energía, S.A. was founded in Barcelona in 1990, as a company specialized in Control Systems and Industrial Automation for Power Plants and Industrial Process in general. Its capital is totally private, Spanish and not tied to any supplier, neither for instrumentation nor for control systems. Subsequently, as of 2008, ICESA began manufacturing in workshop THERMAL ENERGY EXCHANGE SUBSTATIONS for District heating / cooling systems. Today, ICESA has become a manufacturer specialized in this type of equipment, offering as required by the customer, the substation as individual equipment, or the tunr key for the substation, the pumping groups and other auxiliary equipment. for the production room. Highest-priority for ICESA is the innovation, integrating the new technologies, and applying them into the existing and the new fields in industry, specially environment related processes. 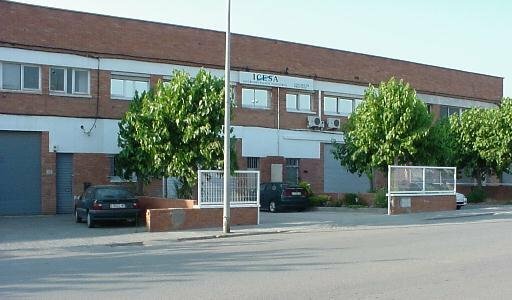 Our 600 m² facilities for offices (design and engineering) and 800 m² for warehouse and assembly (electrical cabinets, control systems, analysis cabinets, pre-mounted structure for installations ..), and tests and calibration bench for instruments make us possible to give the adequate service to our Clients.